Although he was awarded both the Governor General’s Medal and the University Medal for Outstanding Graduate Work at the Doctoral Level, Robert Lennox doesn’t feel he deserves all the credit. He admits that he dedicated himself and worked very hard to obtain his PhD in Biology. But what gave him an edge was his passion for the subject. 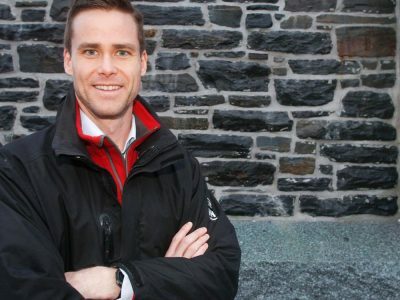 Lennox, who grew up in Ottawa’s Hintonburg neighbourhood, received a Bachelor of Science in Marine Biology from Dalhousie University in 2012. He joined the Cooke Lab of Carleton Prof. Steven Cooke as a master’s student but fast-tracked to a PhD in 2015. The best part of his PhD was the work he did abroad, he says. Contributing to conservation research in Norway, Guyana and French Polynesia, where he helped local efforts to maintain sustainable fisheries and protect ecosystems, was an enriching experience. Shortly after successfully defending his thesis, Lennox became senior researcher at the Laboratory of Freshwater Ecology and Inland Fisheries (LFI) of the Norwegian Research Center. From the lab in Bergen, Lennox will continue to research human and environmental impacts on fish stocks. Fall Convocation is taking place on Saturday, Nov. 10, 2018. The ceremonies will be broadcast online via live streaming at Carleton.ca/convocation/live. 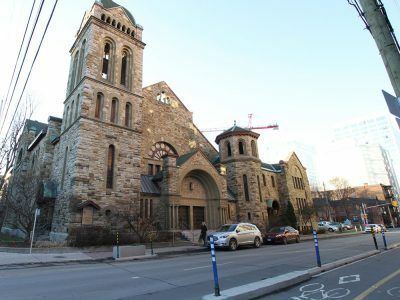 Carleton’s Board of Governors has approved a motion to formally negotiate the potential purchase of the historic Dominion-Chalmers United Church.